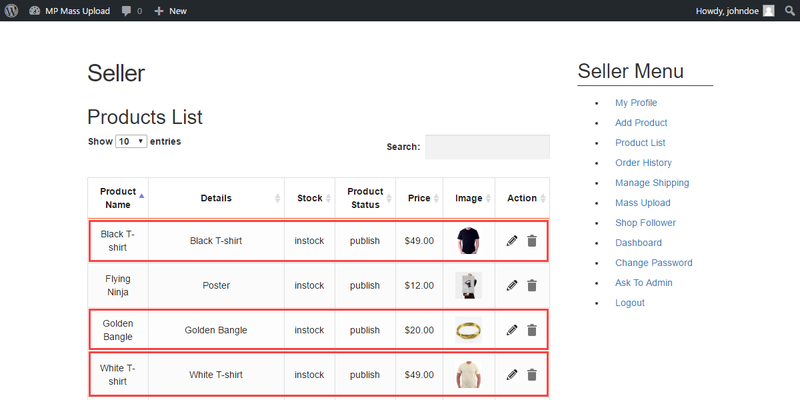 This extension allows the sellers of the marketplace to upload their multiple products in bulk using a simple CSV file. The products get exported to the respective seller’s account under their product list section in the marketplace. 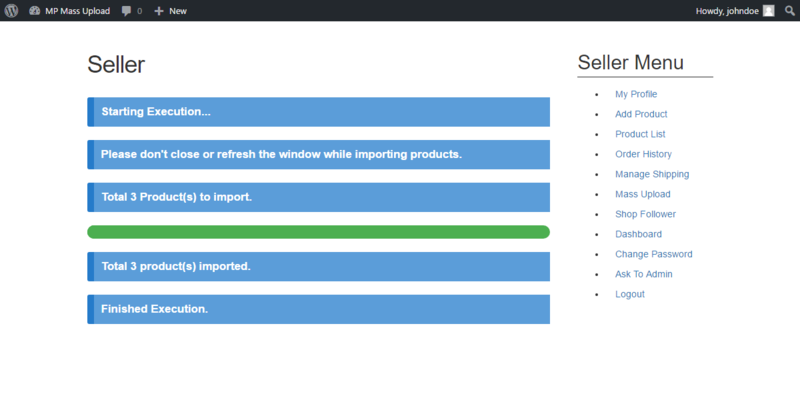 The admin of the marketplace apart from bulk uploading his products can export products in mass to the marketplace seller account using a CSV file. The sellers will be able to upload simple, grouped, variable, downloadable, and external product types using this extension and it displays an error message to the seller and admin if there is any error in the CSV file or the image ZIP file. Note: This module is an add-on to the WooCommerce Multi-Vendor Marketplace module. To use this module, you must have installed first WordPress Woocommerce Multi-Vendor Marketplace. Increasing the number of different product types brings in a variety for the customers, and if they are selling out in good numbers as well will bring in more profits to the seller. Using the bulk upload of products you will be able to export more number of products in a go thus scaling-up the number of products quickly in the marketplace store. The sellers should have the flexibility to add different product types. In turn, it helps them to create the products accordingly that are having variations, options, can be downloaded, etc. Having multiple variations for the products increases the probability of the products being purchased by the customers. 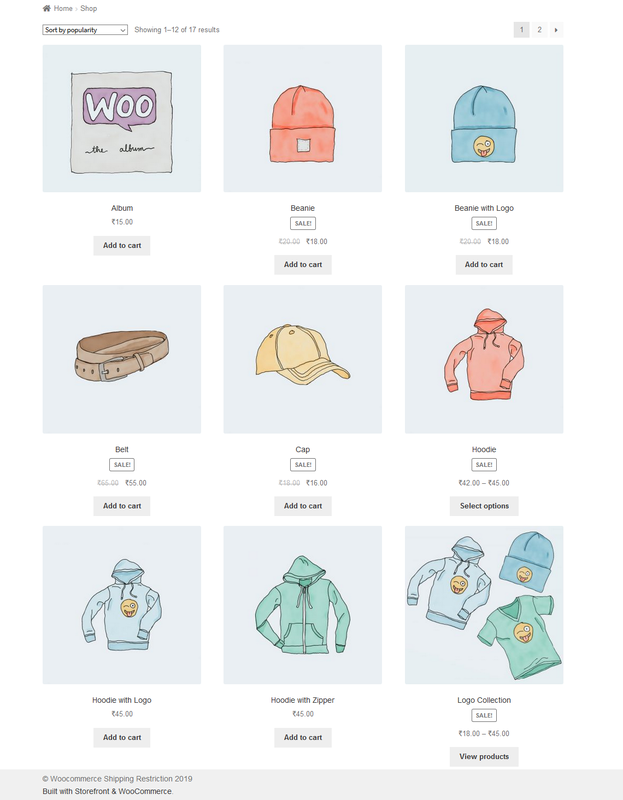 The sellers can add simple, grouped, variable, downloadable, and external product types. As has been observed, the customers just want to login, search the product, choose the required options if available, and place the order. As a seller, you must have the option to fasten up the process of product creation in your marketplace store account thereby cutting down the time to create each product individually. This mass export extension comes handy in this situation allowing the seller to upload a large number of products within a small period. Just provide the product information with the respective images and the sellers can the update/edit products in bulk using a CSV file. If you still have any doubts or suggestions get back to us at support@webkul.com or raise a ticket at our HelpDesk system.